Roulette basics are important to understand when playing roulette online as well as at brick and mortar casinos. Like any casino games, there is a certain level of knowledge that players need when playing roulette to know what is going on in the game. Read on for the roulette basics for gamblers in South Africa. Roulette is a table game, so naturally, there will be a table involved in the game. The roulette table consists of a number grid and other groupings outside the grid where gamblers can place their bets. Numbers 1-36 are in individual squares within the number grid – with each number either being red or black. When players place a bet within the grid, it is referred to as an inside bet. The sections outside the grid include odd, even, red, black, the single zero, the double zero (in American roulette), 1-18 and 19-36. When a gambler places a bet in sections outside of the grid, it is referred to as an outside bet. The roulette wheel consists of all the numbers, including the single zero and double zero (in American Roulette). The ball is dropped while the wheel is spinning and where it lands will determine whether gamblers’ bets win or lose. Roulette is a straightforward casino game, and beginners usually have no trouble learning how to play it. 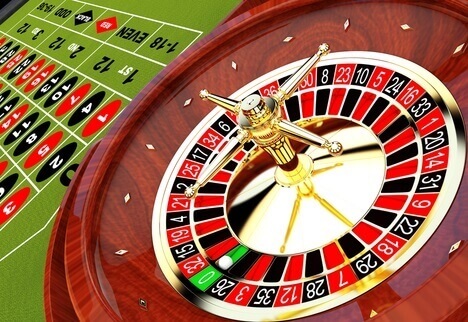 Below are some steps to follow when playing roulette online or at a land-based casino. Find the roulette version you would feel most comfortable playing. (French, European and American are the main versions). Place your bet on a number, numbers or grouping of numbers of your choice. The wheel is spun and depending on the outcome, you lose your bet or win. Gamblers in South Africa and around the world enjoy playing roulette. One of the reasons it is so popular is because it is an exciting and simple game to play. It might be a straightforward game, but players need to know roulette basics. In addition to the above mentioned, gamblers can also consider things like types of bets and betting strategies.